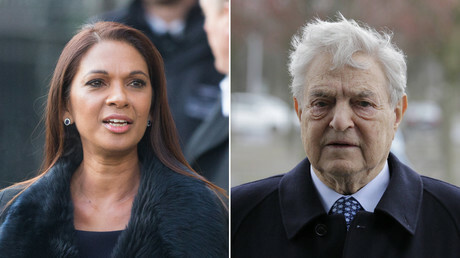 UKT: Soros & the £400k Question: What constitutes ‘foreign interference’ in democracy? You’d have to have a real sense of humor failure not to laugh. 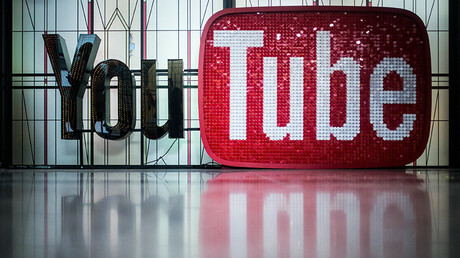 The news that US billionaire Soros donated £400k to an anti-Brexit group came on the day that YouTube said they found no evidence of Russian interference in Brexit. Even West End musical composer Andrew Lloyd-Webber, who knows quite a bit about phantoms, seemed taken in by it. “By quitting Europe, I fear that we are hastening Putin’s dream of the break-up of the EU – and with it, potentially, western civilisation,” the noble Lord declared in July. Never mind that we don’t have a single statement from Putin or other senior Kremlin figures saying that they actually supported Brexit. These Establishment Russia-bashers know exactly what The Vlad is thinking. And never mind that RT and Sputnik, which we are repeatedly told are “propaganda arms of the Russian government,” ran articles by pro- and anti-Brexit writers. The same people who told us Iraq had WMDs in 2003 were absolutely sure it was those dastardly Russkies who had got Britain to vote ‘leave.’ The irony is of course that there was significant foreign interference in Brexit. But it didn’t come from Moscow. Or Obama actually visiting the U.K. to urge people to vote Remain. Imagine if Putin did the same for Leave! The US has always wanted Britain to stay in the EU. In April 2016, two months before the Referendum, President Obama made it clear what he wanted when he visited the UK. He warned that if Britain exited the EU it would be “at the back of the queue” for trade deals with the US. Just imagine if Putin had said that. The Russophobes would have spontaneously combusted. Then of course there was the backing the Remain camp had from the giants of US capital. Goldman Sachs and JP Morgan donated £500,000 each to the ‘Britain Stronger in Europe’ group, Citigroup and Morgan Stanley – £250,000 each. Group fighting against Brexit secures donation from billionaire investor's foundation. The point is not whether we are for or against Brexit. Or whether we think George Soros is a malign influence who only acts out of self-interest or an old sweetie-pie with the good of humanity at heart. The point is the double standards that are causing our Hypocrisy Detectors to explode. Let’s think back to December 2016. Then, the pro-war and fiercely anti-Russian Labour MP Ben Bradshaw told Parliament that it was “highly probable” that Russia had interfered with Brexit. Twitter meanwhile says it detected 49 (yes, 49) accounts from what it claimed to be a “Russian troll factory,” which sent all of 942 messages about Brexit – amounting to less than 0.005% of all the tweets about the Referendum. Twitter said the accounts received “very low levels of engagement” from users. If the Kremlin had planned to use tweets to persuade us to vote ‘leave,’ they didn’t really put much effort into it, did they? Finally, Facebook said that only three “Kremlin-linked” accounts were found which spent the grand sum of 72p (yes, 72p) on ads during the Referendum campaign. Which amounts to the greater “interference”? 72p or £400K? Erm… tough call, isn’t it? You might have thought, given his concern with ‘foreign interference’ in British politics, that Ben Bradshaw would have been urging ‘Best for Britain’ to return George Soros’ donation. Au contraire! His only tweets about it were retweets of two critical comments about the Daily Telegraph, and the BBC’s coverage of the story. Conclusion: Those who rail about ‘Russia meddling in Brexit’ but not Soros’ intervention aren’t concerned about ‘foreign interference’ in UK politics, only ‘foreign interference’ from countries they don’t approve of. That really is the rub of the matter. And Bradshaw and co. have no adequate response except to shoot the messenger. If we look at the affair with an even wider lens, the hypocrisy is even greater. The US has been gripped by an anti-Russian frenzy not seen since the days of Senator Joe McCarthy. The unsubstantiated claim that Russia fixed the election for Donald Trump is repeated by ‘liberals’ and many neocons too, as a statement of fact. “I don’t know that the public understands the gravity of what the Russians were able to do and continue to do here in the United States. They’ve attacked us. They’re trying to undermine our democracy,” film director Rob Reiner said. But the number one country round the world for undermining democracy and interfering in the affairs of other sovereign states is the US itself. 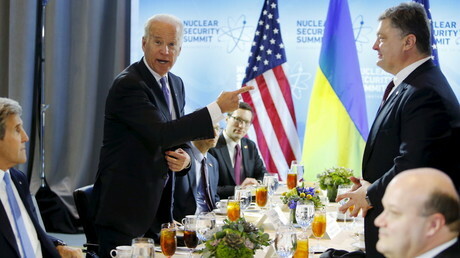 While Establishment journos and pundits have been foaming at the mouth over ‘Russiagate’ and getting terribly excited over ‘smoking guns’ which turn out – surprise, surprise – to be damp squibs, there’s been less attention paid to the boasts of former Vice President Joe Biden on how he got the allegedly ‘independent’ Ukrainian government to sack its prosecutor general in a few hours. “I looked at them and said: ‘I’m leaving in six hours. If the prosecutor is not fired, you’re not getting the money…"
Again, just imagine the furore if a leading Russian government figure boasted about how he used financial inducements to get another country’s Prosecutor General to be sacked. Or if a tape was leaked in which the Russian Ambassador and a Russian Foreign Ministry spokesperson could be heard discussing who should or shouldn’t be in the new ‘democratic’ government of another sovereign state. But we had the US Ambassador to Ukraineand the US Assistant Secretary of State doing exactly that in 2014 – and the ‘Russia is interfering in the Free World!’ brigade were as silent as a group of Trappist monks. It’s fair to say that Orwell would have a field day with the doublespeak that’s currently on show. The cognitive dissonance is there for all to see. Repeat After Me: Unproven Russian interference – Bad. Proven interference from other external sources – Good. What’s your problem?